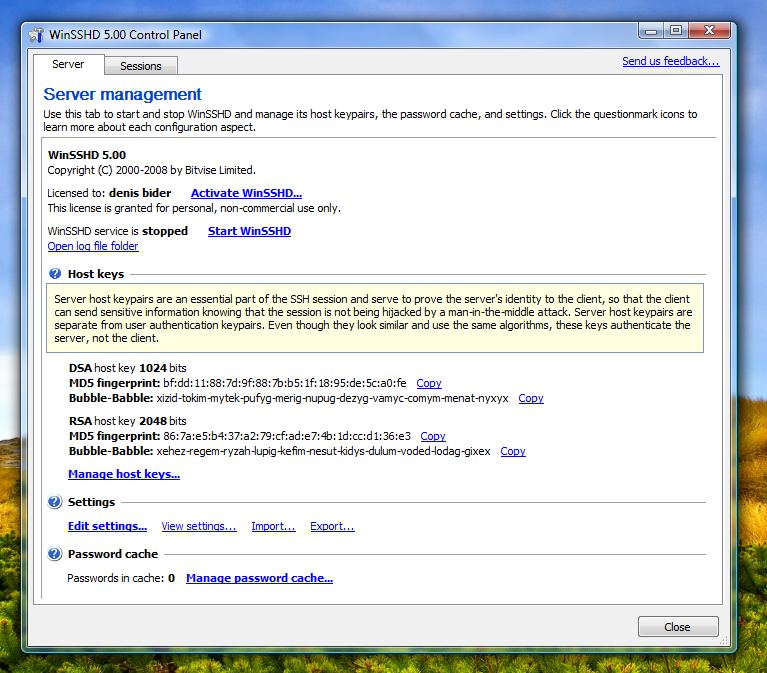 WinSSHD is a SSH server with graphical configuration; support for public key authentication and Windows domain accounts; secure TCP/IP tunneling with flexible permission rules; secure file transfer with SFTP and SCP; secure graphical access with Remote Desktop or WinVNC; and vt100, xterm or bvterm terminal access. Couldn't agree more. This is a great SSH server - been using it for years on a Win2K3 server and it's solid as a rock and full of features. Their free client Tunnelier is also a pleasure to use.